The Biggest soccer publication in Africa! 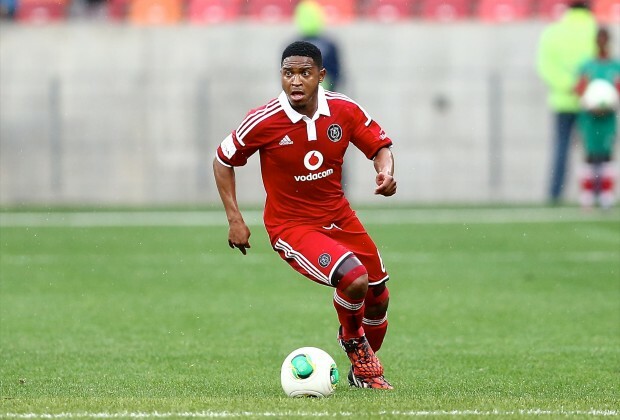 The leader in the latest local and international soccer news — Ntshumayelo: I Miss Matlaba’s Thunderbolt Goals! Ntshumayelo: I Miss Matlaba’s Thunderbolt Goals! Having recently returned to action following a two-year drug ban, Baroka FC’s Thandani Ntshumayelo has revealed that he misses his former teammates' goals and he’s not the only one. Check it out! Thabo Matlaba has only made a paltry seven appearances for Orlando Pirates this season, with the defender falling down the pecking order behind Innocent Maela. His former Buccaneers teammate, Thandani Ntshumayelo has taken to Instagram to reveal he misses the goals by ‘Festival'. Matlaba is known for his trademark long-range shots that he scored with either foot during a golden era with Pirates. The two spent six years together at Bucs, winning one league trophy in the process. The 31-year-old has been strongly linked with a move away from Pirates with the defender seemingly not fitting in coach Milutin Sredojevic’s plans. Fans will be hoping that Matlaba manages to secure a move away from Parktown and return to doing what he does best…scoring scorchers from miles out! Do you miss Matlaba’s long-range goals?